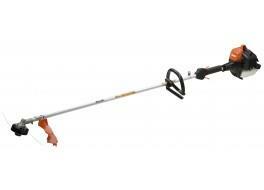 Tanaka TBC 2390 S Start is a new addition to our brush cutter range. It is lightweight and easy to start with plenty of power. Purchase the relevant accessories and you can convert the TBC-2390 into a long-reach hedge trimmer (TPH-200) or pole-saw (TPS-200) (extension-shaft also available).